Lucky cat (Maneki Neko) for March! and all the good things you may think of! Dear Afi, i adore this cute little neko! His sooo cute and i love the heart! Have a lovely merry happy day and love ot you! Yeeee! it's my month! I love it >:D< Couldn't be cuter. So cute!!! 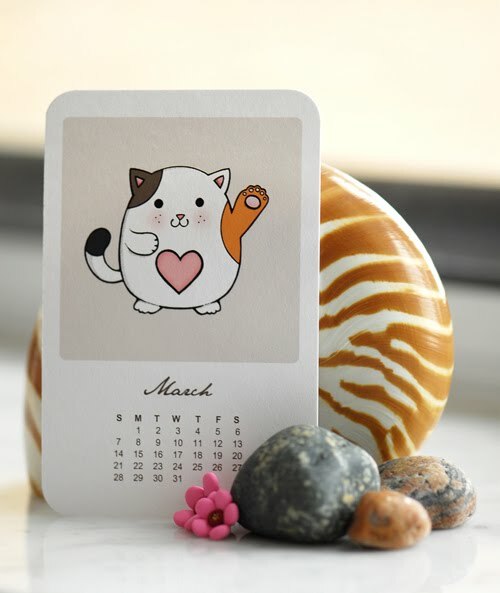 I'm making a calendar, too, just for fun, and I just finished my March page, though yours is over the top in cuteness!! !